If you have been reading this blog for a while, you may recall that I started low carb on a whim after reading a discounted diet e-book called Neris & India's Idiot Proof Diet and Cookbook. I got the book for $2 or something, and loved the book's humor and attitude. Basically, I read that book through the night, and started my new diet the next day, and ended up very quickly in ketosis. The ketolysis process was expedited by a stomach bug that decreased my hunger and – because I spent much of a full week retching and wretched – forced me into what was essentially a liquid fast broken up by a few occasional triscuits. I certainly was ingesting fewer than 20 grams of carbs each day. By the time I felt better, I was already through the nasty carb-flu symptoms. In fact, I don't think I even noticed them, as they were completely overshadowed by the stomach bug. I started to wonder why I was losing weight. From N&I, and from a previous, half-hearted attempt at Atkins, I knew what carbs were, where to find them (and not find them) in food, and I had a vague understanding that carbs turned into fat by some metabolic process. However, I didn't really understand digestion and metabolism and hormones, and all of the other things that go into the equation. So, I began to do research. I did a lot of internet research in the beginning: haunting PubMed and trolling around the Frontline: Diet Wars webpage to get a feel for what the diet-scape looked like, and what the various diet practices were predicated on. I watched the movie, Fathead. I learned about ketogenesis, and that the key to the low carb diets was this ketogenesis. I learned that ketogenic diets have successfully been used, for decades, by credible physicians at top-level hospitals, to treat epilepsy in children. I started to understand that there was a very long history associated with the diet-scape, and that some of it was pretty darned ugly. There is compelling evidence that bad politics allowed bad science to be the foundation of our modern-day standard American diet, and that Americans, today, are more obese than they used to be, suffer from more chronic health issues than ever before, and are dying, in higher numbers, from diseases like heart disease and cancer. Tragically, more and more young children are extremely obese are diagnosed with Type 2 diabetes (that's the reason why T2 is no longer called "adult onset" diabetes). Our health is imperiled and this terrifying trend starts young. Although I appreciated the simple rules provided by Atkins and N&I, I started to worry about some of the low carb faux-foods that I was bringing into my diet: fake sugar and oddly processed starches to be precise. I had sat down with Nourishing Traditions and much of what the authors discussed made an impression on me. This was the first time that I learned about the danger of grains and the anti-nutrient properties of some of their components, including phytic acid. NT convinced me that I needed saturated animal fat to be healthy, and had to avoid certain fats (including certain oils that are produced in pretty horrifying ways). NT started to get me thinking about the contrast between traditional ways of preparing foods and the food that I purchased from the grocery store on a regular basis. I wondered about lactofermenting vegetables to preserve them; consuming raw, unprocessed fresh dairy products; and buying organic produce and grass-fed, pastured meat products without nitrates or other additives or preservatives. I lactofermented my own salsa (it was good and a little fizzy). I started making and drinking kefir water for its pre- and pro-biotics. In short, I started to care about eating WHOLE FOODS, and avoiding processed foods as much as possible. I started learning about theories of Ancestral Health. In particular, I read about Primal, Paleo and Evolutionary diet and fitness. I found that primal appeals to me. It just makes sense on some inner "Aha!" level. Primal mimics what our Paleolithic ancestors ate and how they exercised. There has been no evolution since Paleolithic times, and we are born physiologically identical to our Paleolithic ancestors. Their remains and other significant evidence show that they were vibrantly healthy, had large brains, well-developed musculature, and good teeth. They ate meat, eggs, vegetables, fruit, nuts and seeds. I'm not completely Primal, though. I eat small amounts of products that contain very small amounts of processed sugar, like dark chocolate. Most significantly, I eat dairy every day (in the form of cream and cheese) and that is decidedly un-Primal. I do not eat grains. I eat the highest quality meat and non-starchy vegetables that I can get my hands on. I enjoy eggs that are high in omega 3 fatty acids. I eat some nuts, including almonds, pistachios, macadamias and occasionally cashews, about 3-4 times per week. I cook with organic butter, virgin coconut oil, olive oil and sometimes lard. 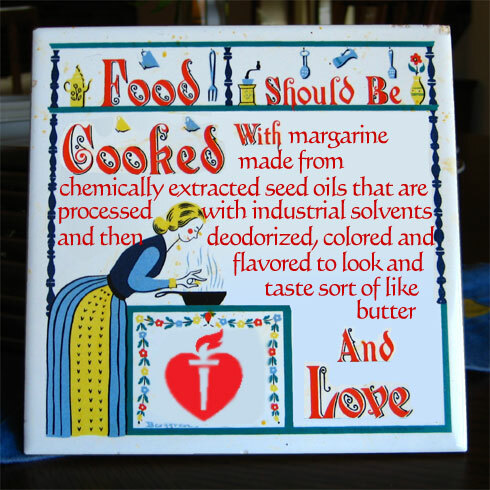 I do my best to avoid bad fats; I certainly don't keep them in my house. I try to eat avocados and coconut products several times a week for their healthy fats (and because they are tasty). I do not eat legumes. I eat 30 grams of 60% dark chocolate every single day. I rarely eat fruit, and when I do, I eat no more than 1 cup of berries in a given day, and I make sure that I eat them with fat. I never drink juice. With the exception of the sugar that is in the dark chocolate I eat daily, I generally don't eat sweetened foods or drinks. I generally eat foods that are found in the perimeter of the grocery aisle. I usually avoid things that have to be processed by the liver, including caffeine (exception is the chocolate and 1 cup of coffee in the a.m.), fructose, alcohol (I occasionally have a slightly alcoholic drink), and I don't take drugs like Tylenol unless I really need them. This way, the liver can spend less of its time removing toxins from my body (because I'm not consuming those toxins) and more of its time breaking down my stored lipids into their constituent parts and making me healthier and thinner. I drink boatloads of water.